Following on from the previous Active Directory Kung-Fu post, I thought I would add a few more things that could be useful on a Pentest. The tools used are not installed on a standard XP build and will have to be downloaded from Microsoft and installed. 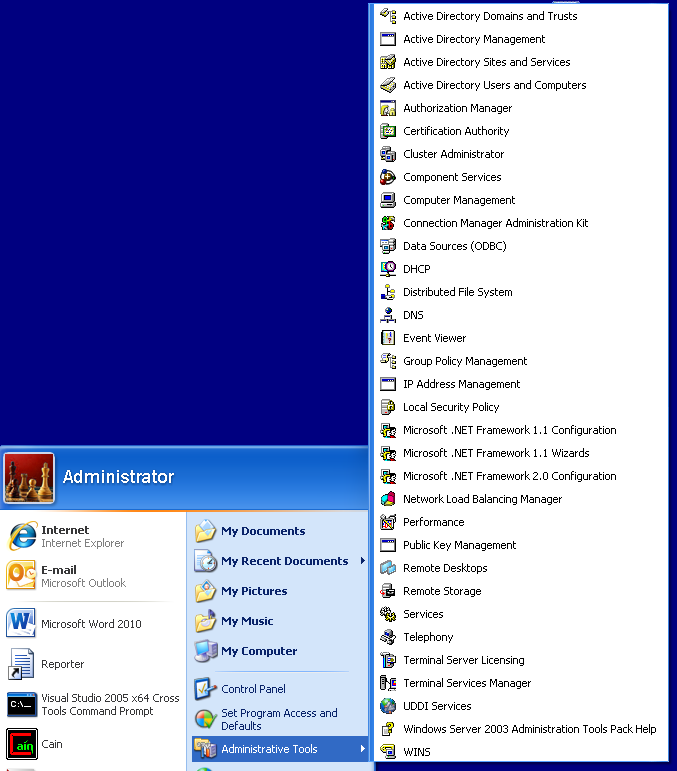 First off get the 2 new tools, AdminPack and Group Policy Management. Once these 2 tools are installed you will find that there are new gui tools.